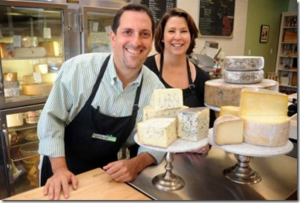 Laura Downey and Chris Palumbo, co-owners of the popular Fairfield and Greenwich Cheese Company shops, reflect upon their 10-year journey in the cheese biz, their accomplishments, and how far consumers have come in their appreciation for delectable fromage. Laura and Chris take their craft seriously and are both (ACS CCP), a certification that only a few hundred people have nationwide. They, along with their staff, who are also CCPs, continue to grow their knowledge of the craft, travel extensively abroad and throughout the country, meeting with cheesemongers and industry elite. 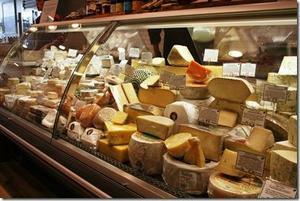 They find joy in learning more about the craft, tasting cheese, and bringing back the best cheeses for their customers.